If You're Going To Die Soon, Do You Really Need Statins? : Shots - Health News Many older people are taking a lot of meds, and some drugs may not be doing them much good. When terminally ill people went off statins, they said they felt better. And it didn't increase their risk. If You're Going To Die Soon, Do You Really Need Statins? 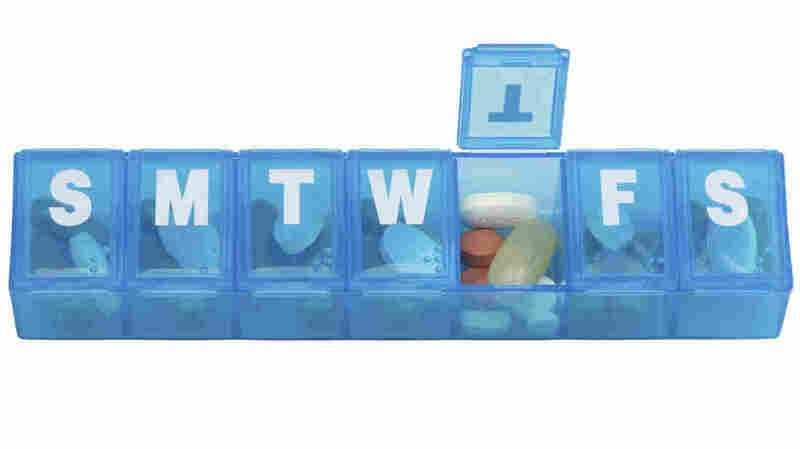 It's easy to get put on statins, and it can be surprisingly hard to get off them. That's true even for people who are terminally ill and might have bigger concerns than reducing their cardiovascular risk. People approaching the end of life who did stop statins were not more likely to have a heart attack or stroke than those who kept taking the drugs, according to researchers who tested the idea. Most of the researchers take care of people with serious illnesses and were struggling with the question of if or when their patients should stop taking medications to prevent disease. "What does it mean to a patient when you say it's OK to stop taking a medication?" asks Dr. Jean Kutner, a professor of medicine at the University of Colorado's Anschutz School of Medicine and lead author of the study. She and her colleagues realized they didn't know whether it's safe for people with a terminal illness to stop statins. And they didn't know how patients would feel about that. When people start statins, Kutner says, they're often told they'll be on them for the rest of their lives. "And then I come back around and say you don't need this anymore." To answer the safety question, Kutner and colleagues recruited 381 people who were being treated at 15 medical organizations that are part of a palliative care research cooperative. Almost half of the people had cancer; 58 percent had cardiovascular disease; and one-third of participants were enrolled in hospice. Going off statins didn't cause a significant increase in heart attack risks or hasten death, the study found. People lived about seven months from the start of the study. And though there weren't significant differences in quality of life, people did say they felt better and were happier to be taking fewer medications. And getting off statins saved $716 per patients. The results were published Monday in JAMA Internal Medicine. This gives doctors the option of asking patients if they'd like to stop the statins, Kutner says. She'd frame it like this: "For people in your situation it appears safe to stop the medication; you may actually feel a little bit better without it." Some people may feel that preventing a possible stroke is so important they prefer remaining on it, she says, "and another may say, 'Thank goodness I actually get to stop a med.' "
And just as patients may have wildly varied responses to the idea of stopping a preventive medication, doctors do, too, Kutner says. "We got the whole spectrum from 'No way, this patient needs to stay on statins' to 'Wow, what a good idea, we should be doing this more often.' "
And "doing it more often" could also apply to people who aren't in the final months of their lives. About 30 percent of people over 65 are regularly prescribed five or more drugs, and many of those may be unnecessary or dangerous, an article accompanying the study finds. But deciding when to "deprescribe" can be dicey. Older people are particularly vulnerable to high-risk drugs like opioids, benzodiazepines, anticoagulants and NSAIDS, this article notes, and people who are near the end of life won't gain much from statins or drugs to prevent osteoporosis. Drugs with the greatest harm and least benefit should be discontinued first, the authors conclude, while also considering how hard it is to get off them. Benzodiazepines are dangerous for older people, for instance, but they are also hard to quit because of withdrawal symptoms. And the patient should get a voice, too. "I think our data should be taken into consideration in a shared decision-making process, rather than a 'You shall do this,' " Kutner says. If her study had shown that a new drug improved quality of life without significant increases in mortality and with modest cost savings, it would be heralded as a breakthrough, she notes. "Most of the studies focus on when to start a medication; there's been very little focus on when do you stop it."